When I only have EDGE internet access, web page loading takes forever. Instead of watching a rerun of the old 2400 baud days of the web, I would prefer to load the web page in the background while I play a game or piddle through my calendar. With the latest update to iOS, loading web pages through Safari in the background is now possible. Here is how to enable this feature. I use my iPhone and iPad for reading. I have a whole series of web sites that I visit daily. Many times I open various new pages to keep from losing my place. Opening in the background on a slow connection is really helpful as I can continue to function while the slow site loads peacefully out of site. After this selection, instead of new links popping up a new page, you will see the link fly down the to page selector in the lower right hand corner of Safari. During this time the page will load silently in the background. 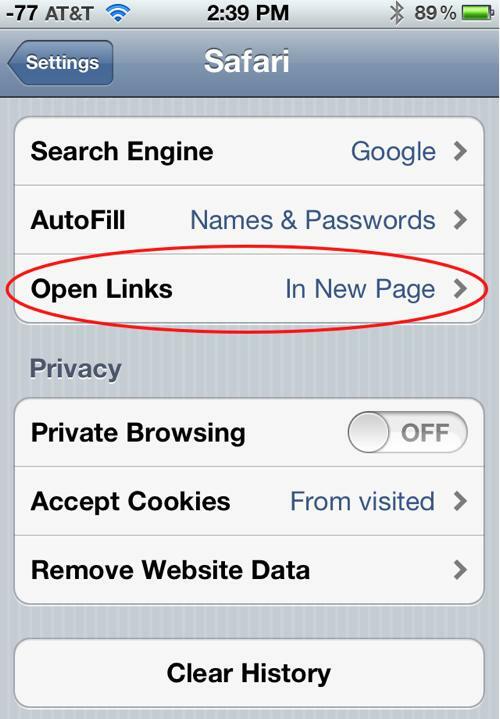 If you want to force a link to open in the background, you can just press and hold a link until the menu appears. From here select the Open in Background option.